Generally, you either cheap out and compromise on airflow and noise, or spend more and get a better fan. Corsair has developed the ML range of fans to fit firmly into that second option; even its plain black ML120 Pro comes in at £19.99. That might seem like a lot of money for a 120mm fan, however, the ML stands for Magnetic Levitation. That means no bearings, at all, and very very little wear over the life of the fan. It also means excellent performance, even at low RPMs. That’s not all with the ML series of fans, the rotors of the fan have been tirelessly engineered to provide the “perfect balance between high static pressure and high airflow”, that should mean these fans will be ideal as intake/exhaust fans, or for use on a CPU cooler or water cooling radiator. 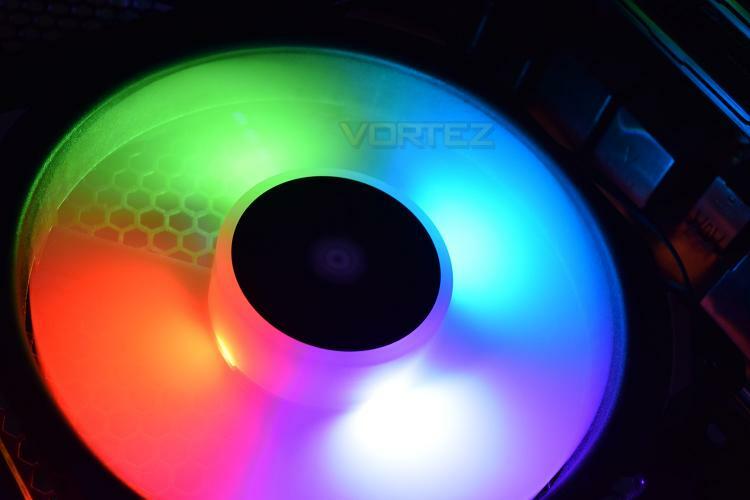 Not forgetting the main feature of the ML120 Pro RGB fans, the lighting is provided by 4 LEDs located at every quarter-turn around the centre hub of the blades. Those lighting effects are providing by the Lighting Node PRO, a small device included with the ML120 Pro RGB package that connects to the Corsair Link software via a USB header.